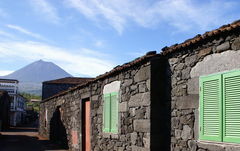 Pico Island has a wide range of accommodation and lodging possibilities: hotels, nature hotels, rural tourism, guesthouses, countryside houses, rural houses and yachts. Click on the images below to book your stay! If you don´t find what you are looking for, if you want something special, or if there is no availability at the lodging you want, send us an email, we assist you gladly.